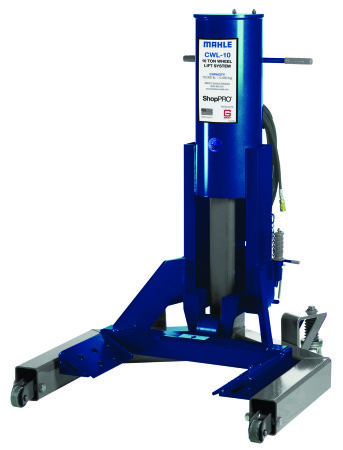 Mahle has unveiled the ShopPro CWL-10 air-operated midrise 10-ton commercial wheel lift, suited for shops with low ceiling heights. With a built-in vehicle support stand to offer open access under a vehicle, the unit also has a maximum lifting height of 24 inches – enough room to remove major components. The CWL-10 has a wide, spring-loaded base to offer a stable platform, and the unit comes with small wheel adapters. Meanwhile, a dual trigger control valve allows for the synchronized raising and lowering of a vehicle.